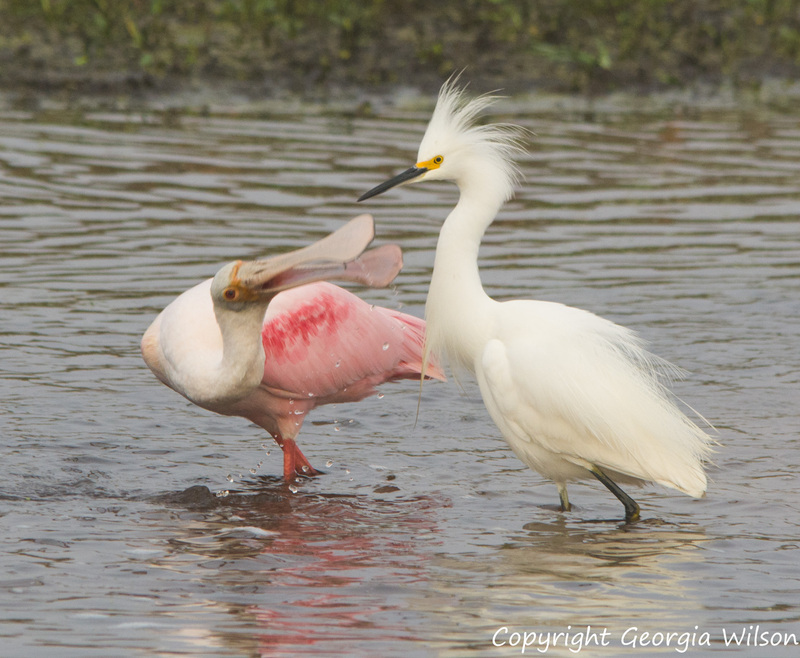 This Roseate Spoonbill seems to be telling the Snowy Egret that his personal space is being invaded. Taken at Orlando Wetlands Park. Nikon D7100, Sigma 150-500mm lens.